Sorting through the enormous piles of options for drumsticks is a daunting task. In reality, finding a perfect pair can be a lifelong pursuit. Fortunately, I have put in the work and found it for you. If you are going to take my word on which sticks are the best, you should understand the path I took to this decision. Besides being a classically trained percussionist for more than 20 years, I’ve put hundreds of hours into researching drumsticks. In preparation for this article, I reviewed more than 50 of the best brands and stick styles in the business. 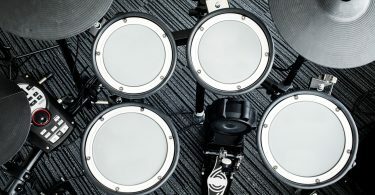 After testing them with my own hands and comparing reviews from professionals, first timers and every other range of drummer or percussionist, I put it all together. This isn’t just my expert opinion. It’s the inevitable truth. Quality and versatility: short, thin and light enough for even the most delicate drumming, but have the power to enable big, percussive sound. Comparing drumsticks is a tricky process. Even just a few years ago, the job was simple. Roll a few sticks on the ground and take the straightest pair. These days, manufacturing quality has improved leaps and bounds, and in most cases you can assume a base level of quality that is far superior to choices even 10 years ago. 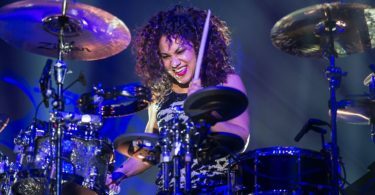 So, what does an aspiring drummer need to check in their sticks? The starting point is style. What kind of playing will you do? For heavy rock sets, you want thick, long sticks with large heads. They’ll give the pounding sound that you’re looking for and take the punishment that comes with the gig. Small jazz combos, on the other hand, need a lighter touch. For something like that, you’ll want thinner sticks and probably a tapered head that can really nail a crisp cymbal sound. It’s obvious that no single pair of sticks will be the best choice for every style, so in this review, I made versatility the most important component. Since we’re talking about versatility, the next thing to consider is the material that makes the sticks. Now, there are synthetic options, and they can be great for particularly abusive practice sessions, but the best drumsticks will always be made from wood. The most common wood is birch, but when you start to look for high-end quality, persimmon and rosewood enter the discussion. The main concern here is sound quality. Birch is a tough wood that gets a light, airy sound out of the drums. It’s also cheaper for manufacturers. That means drumming that aims for a darker sound (think hard rock) requires excessive bulk if it remains birch. On the other end of the spectrum, rosewood is a denser, more resonant wood that gets rich, dark tones. It struggles with the lighter sounds. So, coming back to that all-around mentality, persimmon is the obvious best choice. There is also the eternal debate of wood vs nylon tips. 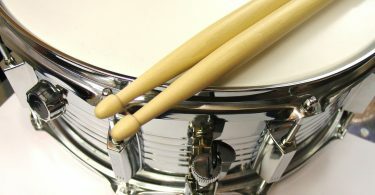 Nylon tips can give you some specific sound qualities, particularly with cymbals, that wood will never match, but it comes at a trade off. Even the most professionally crafted nylon tips still add a second resonance to the stick. This causes an inharmonious competition of sorts between the vibration of the stick and the vibration of the tip. If you’re aiming for the pinnacle of sound quality, nylon tips are only acceptable for very specific uses, and they fail to meet our multifaceted standards. This is the hardest point of comparison. When shopping, you typically just want to try sticks until you find the sound quality and balance that is best for what you are playing. But that is not our aim right now. If you can only have one pair of sticks, then you need something that perfectly rides the middle ground. For those who are unfamiliar, drumsticks have a standardized system for assessing dimensions. You can get a quick tutorial here. Something in the 5A to 5B range is going to hit that sweet spot of variability. The Coopermans I am recommending actually have a custom size, but it’s exactly in the middle ground. Drumsticks come in twos, and getting perfectly matched sticks is one of the primary factors that separate amateurs from pros. Old traditionalists like me shudder every time we go to the music shop and see a barrel of unmatched sticks. You see, no two drumsticks will ever be perfectly identical, no matter how well made they are. That doesn’t matter at the beginning levels, but when you want to cross the threshold into professional sound quality, you need drumsticks that are matched. Slight variations in width, length, weight or even wood grain will cause pitch and vibration differences between the sticks. It takes some ear training to learn to hear those differences, but poorly matched sticks will create an impassable barrier for anyone trying to enter the higher realms of playing. Premium drumsticks come pre-matched, and the more consistently they can be matched before you put them in your hands, the better off you are as a drummer. Now that you know how and why I came to this recommendation, it’s time to talk about the Cooperman Nick Petrella 5 sticks. There are plenty of great drumsticks out there. These are the best for a few key reasons. First, they are hand crafted. You might think that machines can outperform humans in production, but music is one of those fields where machines still have not caught up to the lifelong passion and dedication of master craftsmen. In the case of the Nick Petrella 5s, the care and detail that goes into every stick is obvious from the start. You can think of these as the Rolls Royce of drumsticks, and it’s a fair comparison in every way. These will cost you several times more money than cheap alternatives, and every penny spent grants you unparalleled quality. The sticks themselves are cut from persimmon, which you were probably expecting at this point. They measure at 16 and 11/16 inches, making them just longer than average. They are also just past the midpoint in width, and as you might expect, slightly heavier than average. 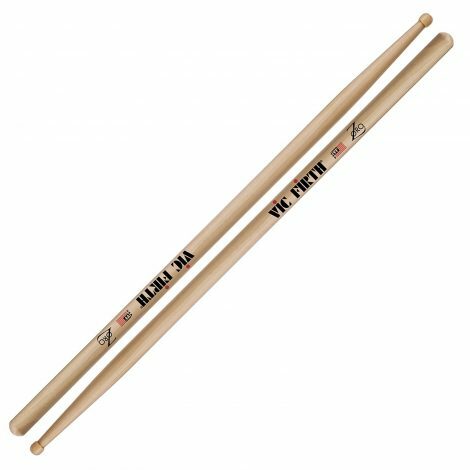 They’re still short, thin and light enough for even the most delicate drumming, but they have the power to enable big, percussive sound too. You won’t find a pair of sticks that can go further to each extreme. While these are all points enough to make the Nick Petrella 5 sticks the best, their most valuable quality is in matching. The same master craftsmen who construct the sticks match them before packaging. 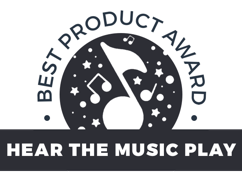 That means that some of the most talented ears in the industry guarantee that any pair you purchase is already at the pinnacle of consistency. If you have the ear training, you can go to a store and test for yourself. Even the most illustrious signature sticks you find will have subtle pitch differences that are undetectable in Cooperman sticks. 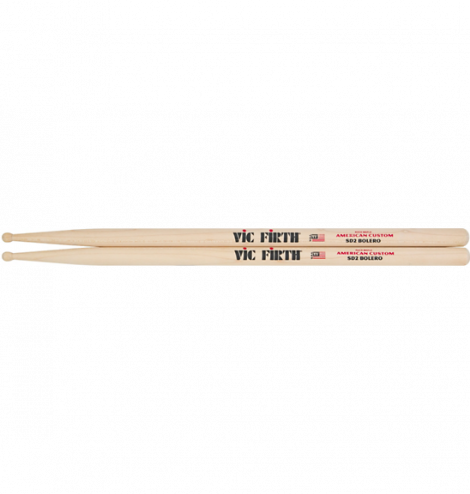 This is where they surpass the competition, and the Nick Petrella 5s are often better than specialty sticks that are dimensionally superior for a particular sound or style. 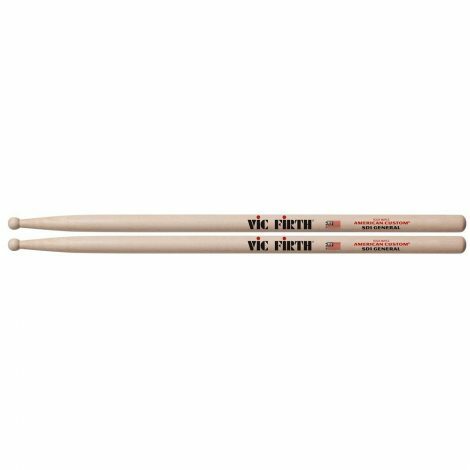 While the Coopermans are an easy top choice, there is an all-around runner up that is more than worthy of mention: the Vic Firth SD1. In reality, less than one percent of all drummers will ever need sticks as exquisite as the Nick Petrellas. For anyone practicing, learning or aspiring, the SD1s are the go-to sticks. They are a little thicker and heavier than the Petrellas, but that makes them better for training muscle memory, and it grants them a little more longevity. If the Petrellas are the sticks you use for your paying gigs, the SD1s are the sticks for practicing technique. They have everything you need for an almost ridiculous range of sounds, and they cost enough less than other premium options that you won’t be sad when these are the sticks you chip, warp or break. We talked about how different styles are best suited by different sticks, so these recommendations will be for all-arounders within each musical genre. You can still go much deeper into the rabbit hole of particular sound qualities, but these sticks are great for mastering the most common applications you’ll find within the scope of the genre. I’m flirting with being too generic, but if you want to play the harder rock styles, Vic Firth’s Zoro Signature series is the way to go. They’re a little on the short side for rock drumming, but they compensate with additional girth. It lends to a heavy sound that is perfect for raucous gigs. 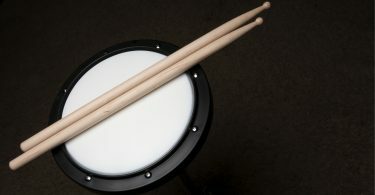 They utilize a barrel wood tip, and that enables drummers to get a little more range out of the sounds of a drum kit. Best of all, they’re shockingly low priced for their quality, so you won’t mind beating them up when you get carried away. Zildjian 5a drumsticks are all wood and all good. They are a little on the heavy side, for such light sticks, which lets you hit ranges between three-piece combos and full-fledged big bands with relative ease. Made by the most prestigious cymbal makers of all time, you can imagine that care and quality go into the production of these sticks. That said, they’re remarkably inexpensive, so you can try your hand at some quality jazz without bank-breaking investments. Most of this discussion has been for drum sets, but at this point I would be remiss to ignore one of the traditional reasons to play drums. 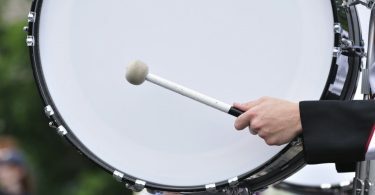 When it comes to marching snares, there is a classic. Vic Virth hits the list again with the Ralph Hardimon series. 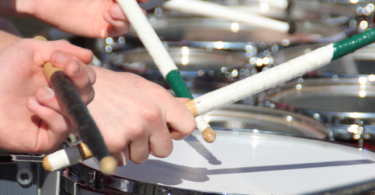 These are pretty much the perfect marching sticks, and there’s a reason they are used by virtually every college and professional core. They’re large, exquisitely balanced and as durable as wood can get. There is no second choice for this category. If you find yourself playing with a symphony, then you are diving into the deepest pool of specialized sounds. 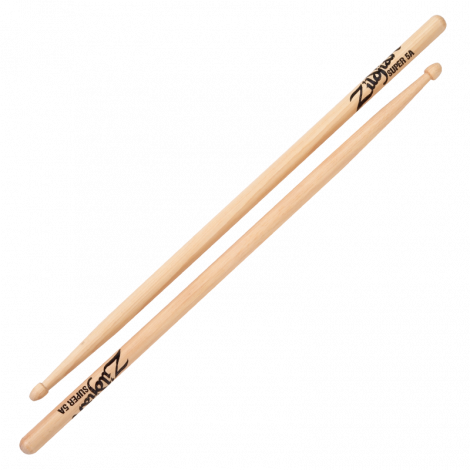 Realistically, you’ll need a dozen pairs of sticks to even begin to hit the full range of symphonic sounds, but the best place to start is with the Vic Firth SD2 Boleros. They’re like the SD1s of symphonic versatility. They can give you ultra-crispy snare drum sounds. They have the weight and feel of heavy sticks for easy control, but the focused bolero tips reduce the darkness in sound. The result is an easy-to-maintain symphonic timbre. This isn’t about sound quality. New, dedicated drummers need to learn control without spending a fortune on broken sticks. There’s a clear solution: Ahead Synthetic Drumsticks. Let’s make a few things clear. First, you are sacrificing sound quality for longevity. These sticks are made from aluminum. While that makes them virtually indestructible, it produces inferior sound. Second, these are not cheap sticks. When you’re used to paying less than $10 per pair, the $30 to $40 a pair for these feels like a lot, but they’re literally the last pair you need to buy. They will never break. I’ve tried. That said, these are excellent for beginners and pros alike to practice, saving the better quality sticks for performances. They’ll save you tons of money in the long run, and that’s really the whole point. There are other synthetic options that do sound better, but they cost considerably more, and they still don’t sound as good a wood, so there’s little reason to invest that kind of money.